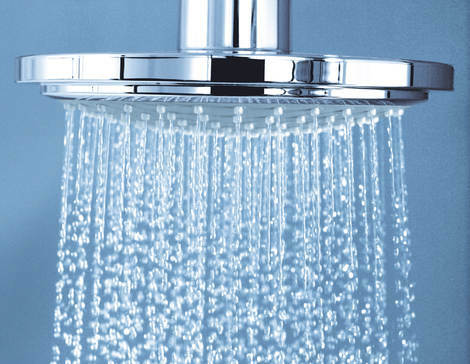 For maximum comfort, the shower head should be located at least 7 inches above the head of the tallest person in your household. These items can be found in our bath and shower collection. A choice of two lengths of shower arm lets you decide how far from the wall the shower head is located – enabling you to shower in a comfortable position. 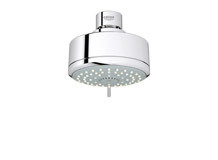 Available with a 12" or 16" length our shower arms are suitable for use with the majority of GROHE head showers. 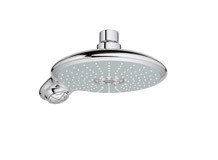 Our Rainshower Jumbo needs a special 16" shower arm that supports the shower head. All of these shower arms are available in our bath and shower products catalog. 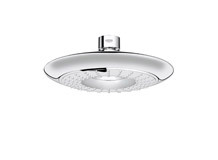 For maximum design freedom, choose a ceiling-mounted shower head. 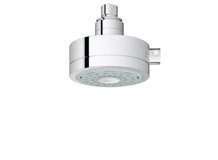 Unlike a head shower fixed to the wall – either directly or with a shower arm – the location of your shower is unrestricted. 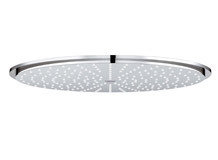 Our Rainshower® range includes two lengths of ceiling shower arm – 6 inch and 12 inch. 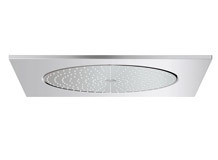 This ensures compatibility with a range of ceiling heights. 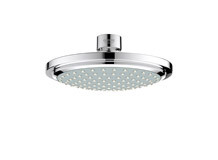 Fixed directly to the ceiling, the shower head becomes part of the bathroom architecture.